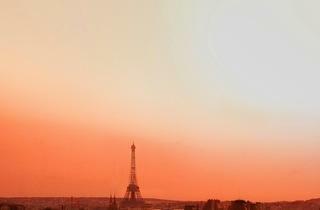 No building better symbolises Paris than the Tour Eiffel. 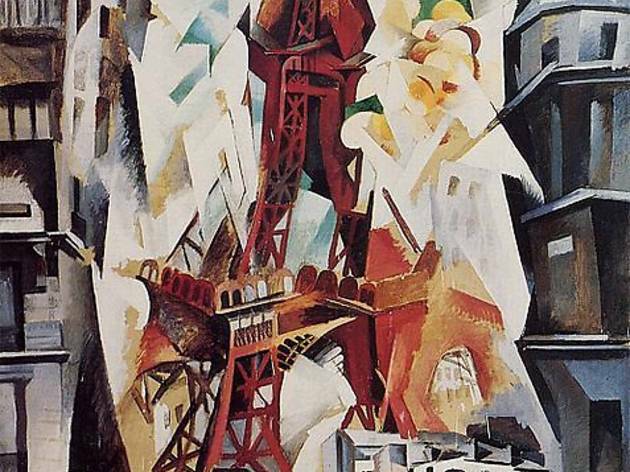 Maupassant claimed he left Paris because of it, William Morris visited daily to avoid having to see it from afar - and it was originally meant to be a temporary structure. 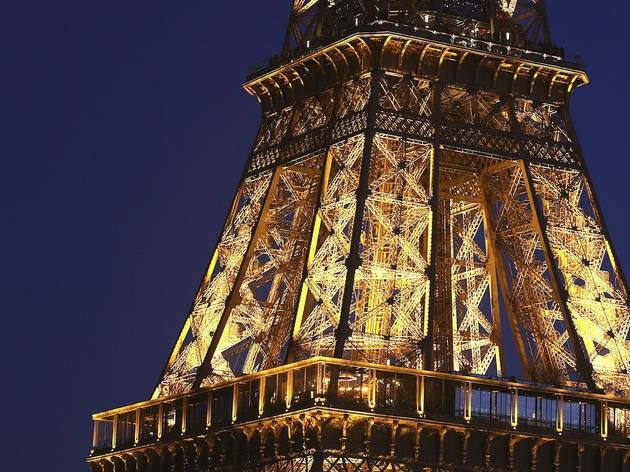 The radical cast-iron tower was built for the 1889 World Fair and the centenary of the 1789 Revolution by engineer Gustave Eiffel. 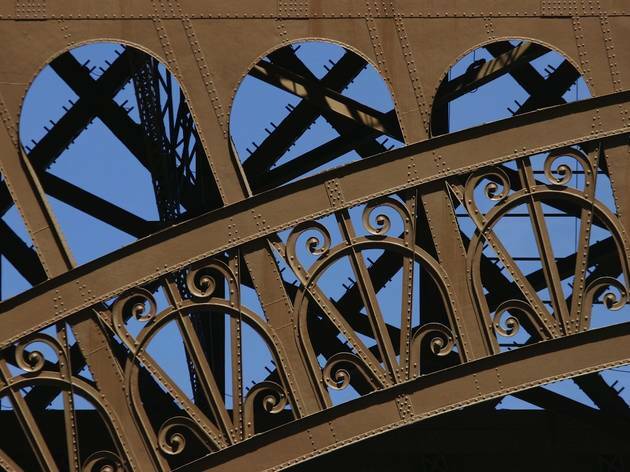 Eiffel made use of new technology that was already popular in iron-framed buildings. 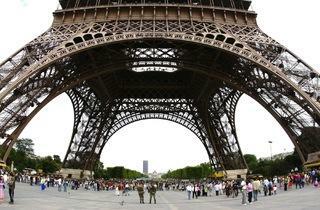 Construction took more than two years and used some 18,000 pieces of metal and 2,500,000 rivets. 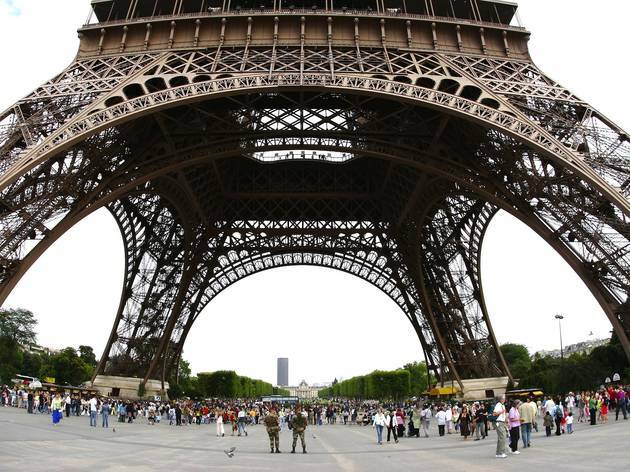 The 300m (984ft) tower stands on four massive concrete piles; it was the tallest structure in the world until overtaken by New York's Empire State Building in the 1930s. Vintage double-decker lifts ply their way up and down; you can walk as far as the second level. There are souvenir shops, an exhibition space, a café and even a post office on the first and second levels. 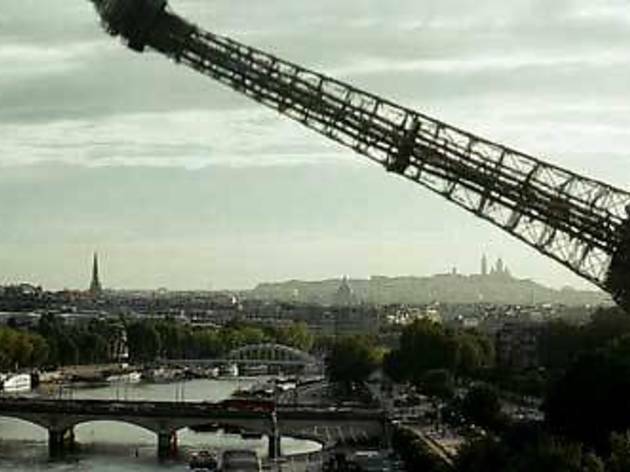 The smart Jules Verne restaurant, on the second level, has its own lift in the north tower. 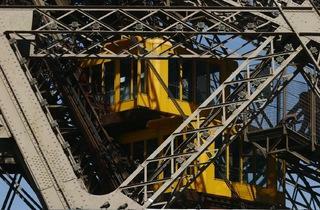 At the top (third level), there's Eiffel's cosy salon and a viewing platform. 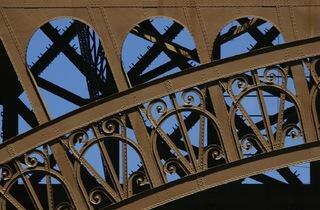 Views can reach 65km (40 miles) on a good day, although the most fascinating perspectives are of the ironwork itself. 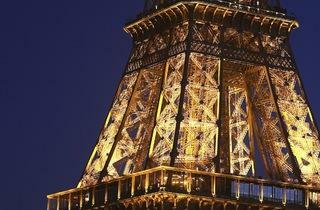 At night, for ten minutes on the hour, 20,000 flashbulbs attached to the tower provide a beautiful effect. 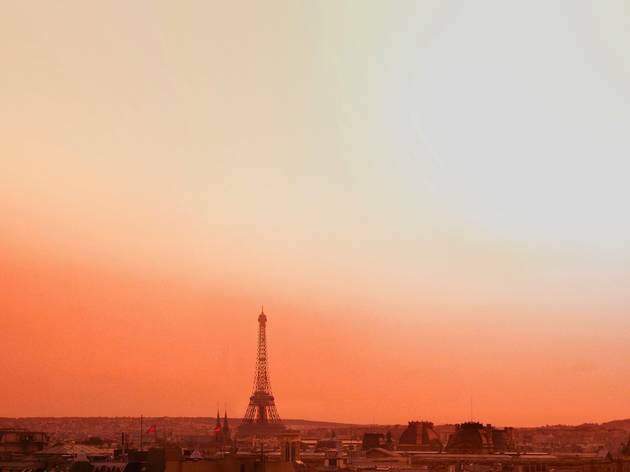 The Jules Verne restaurant is now run by Alain Ducasse. By lift Mid June-Aug 9am-12.45am daily (last ascent 11pm). Sept-mid June 9.30am-11.45pm daily (last ascent 10.30pm). By stairs (1st & 2nd levels) Mid June-Aug 9am-12.45am (last ascent midnight). Sept-mid June 9.30am-6.30pm (last ascent 6pm). 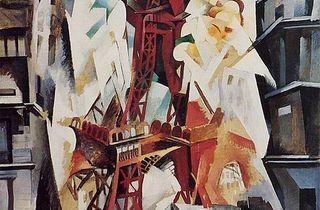 Everything you'd want from a trip up Paris' statement attraction! 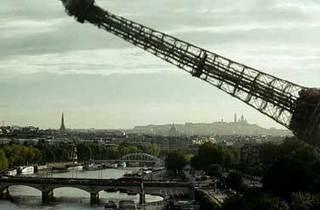 I've been to Paris a couple of times before but have never really had the opportunity to properly see all it has to offer as an adult. With a bit of spare time between meetings, I figured what could be better, or indeed more Parisien, than a walk along the Seine culminating under the Eiffel Tower (or Tour d'Eiffel). I was up uncharacteristically early and it was mid-week but was still very surprised that there was little to no queue when I arrived. 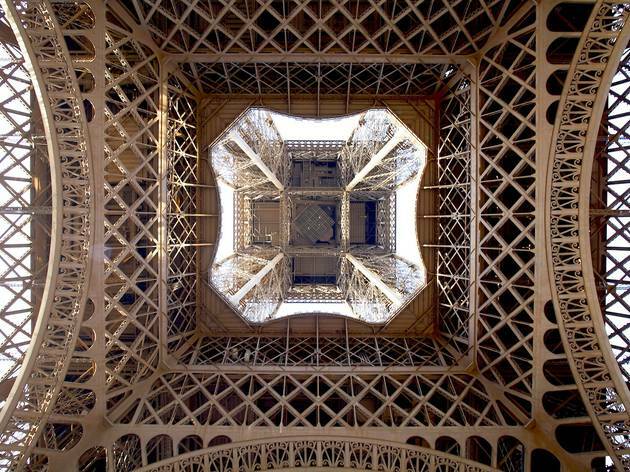 Just looking up at the sheer size of the tower is enough to have your stomach reeling and it is a truly magnificent spectacle. You have two options for a visit: the first much-lower-but-still-very-high viewing floor or all the way to the summit. To be quite honest, I don't really understand why anyone would only do the first level given that if its because you are afraid of heights, you are still way too high up to not start panicking. The summit visit comes to a very affordable 17 euros for such an unforgettable experience. I'm not usually afraid of heights but I must admit that even I started to get a bit panicky as we ascended in the lift; after all, as a metal shell, it is very open and does feel a little bit like you're on an unfinished building site. 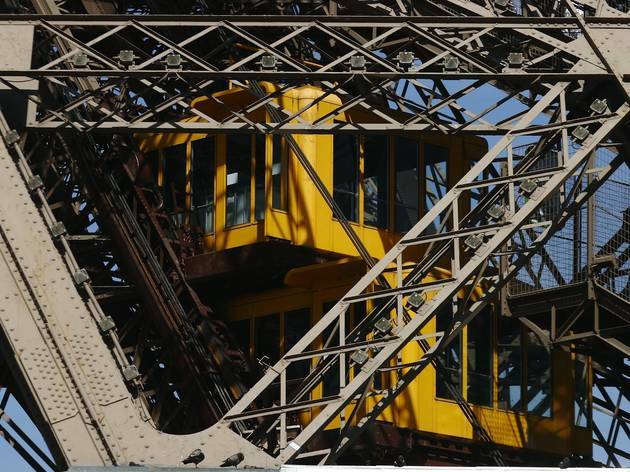 But that is all forgotten when you reach the top and take in the stunning 360 degree views of belle Paris! I live in London which, as I'm sure you know, is as old as Paris, but seems to have been industrialized more, or so the architecture would suggest with Paris appearing much more neat, tidy, planned and samey with the bulk of its buildings having white stone exteriors, small balconies and almost Venetian-style windows. All in all, a really beautiful city and what better way to get to grips with a place than to take it all in, in one fell swooping view. 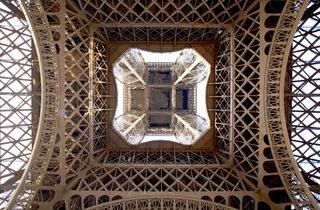 Visiting the Eiffel Tower was for sure a bucket list moment for me and I couldn't recommend it more!